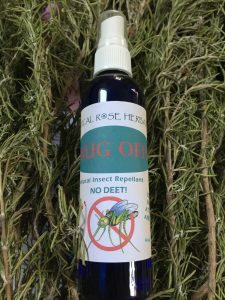 All Natural Herbal Insect Repellent. Makes you feel like you have put a “wall” between you and the insects! Good for mosquitoes, ticks, gnats, etc. Can also be used safely on animals. NO DEET. As is the case with all of our products, we use only pure and natural ingredients. Spray BUG OFF! on your ankles, wrists, face & neck and watch the bugs disappear! We use Witch Hazel, Distilled Water and a proprietary combination of essential oils to make our own, unique insect repellent. You’ll like it — but bugs HATE IT! !